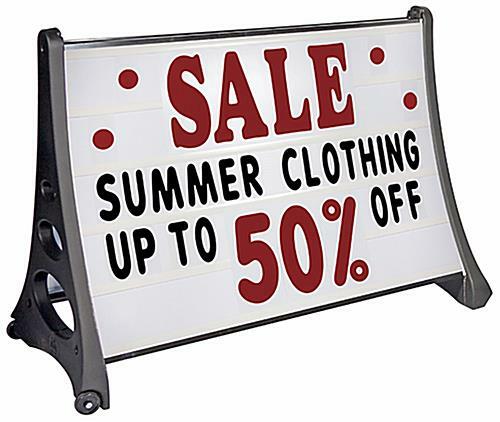 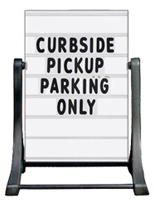 This tilting message board with double-sided design is the perfect way to maximize exposure outdoors and one sidewalks. 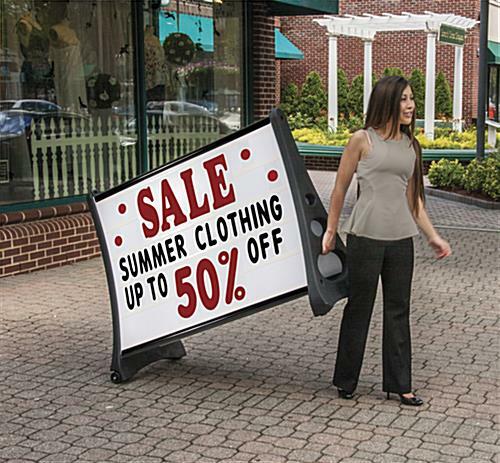 Each 48" x 36" sign has two rolling wheels. 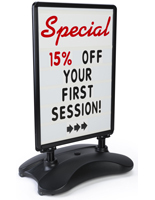 The portable board also has a fillable base which provides extra stability even in inclement weather. 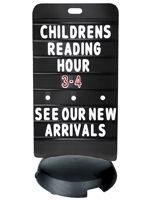 Each sign comes with a set of 443 letters to create custom messages. 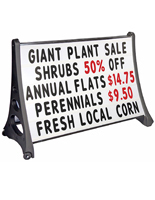 Order the message boards for your sidewalk displays today!